Suitability: Great walk by the water’s edge of Newcastle harbour. Most of it on dedicated pedestrian/cycle ways and the rest on pavement so no problem for wheels. 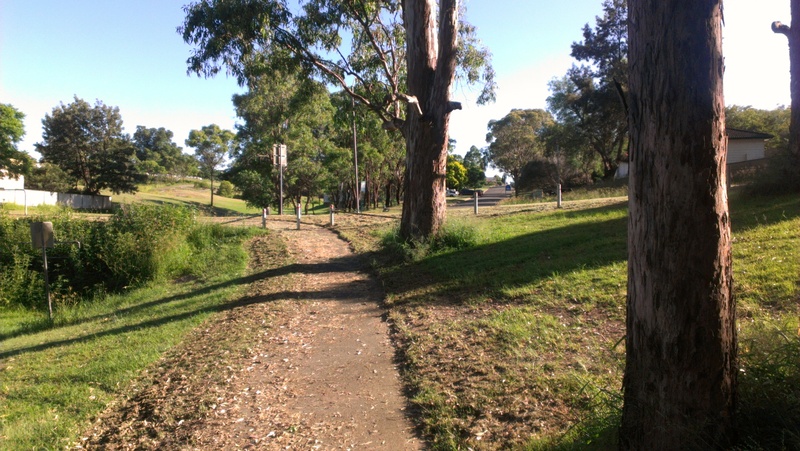 This walk starts at the car park for Passmore Oval, just off Albert street in Wickham. Walk down Albert street, past the Croatian sports Club, all the way down to Hannel street. Carefully cross over this fairly busy road and walk across the Fishermen’s Co-op car park to get to the footpath by the water’s edge. Follow this footpath underneath the Cowper bridge and along Throsby Creek. You’ll pass the fun and whimsical “a Drop in the Ocean” artwork/play area and if you’re lucky you might see some rowers out on the water. Stay on the path as it veers around to the left, cross the road by the next bridge and continue on. 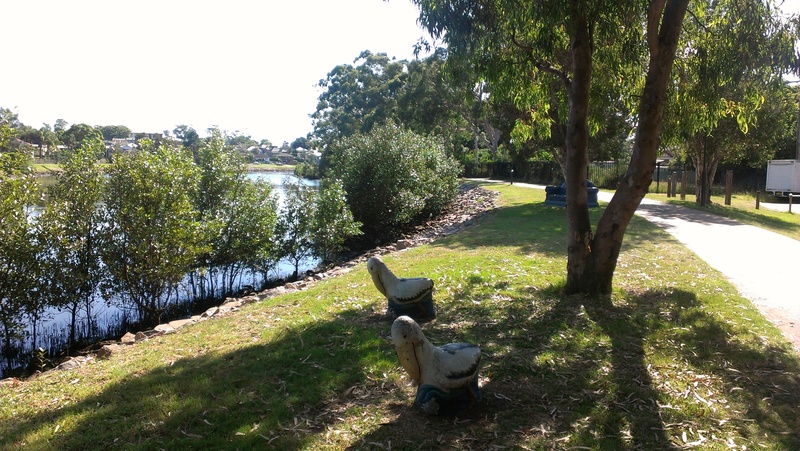 Just before you get to Islington park, you’ll see some more interesting artwork (sofa and pelicans!) and now you need to look for a short path on your left that will link you into O’Hara street. Turn right at the next intersection and walk down Lewis street. Turn left at the next intersection with The Avenue and then first right down Norfolk street. Stay here as it continues on and turns into Sheddon street. When you get to Maitland Road, turn left and walk back up along Albert street to the car park. 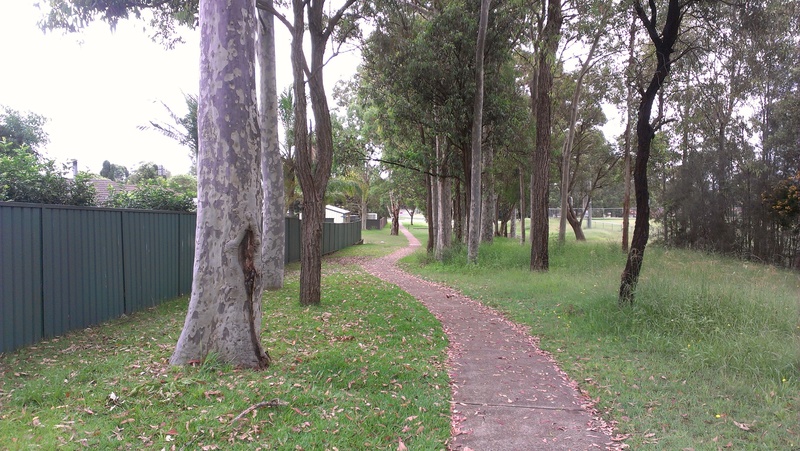 Suitability: Great walk to combine with a shopping trip down Maitland Heritage mall. Some sections across uneven terrain and steps, so challenging for those with wheels. 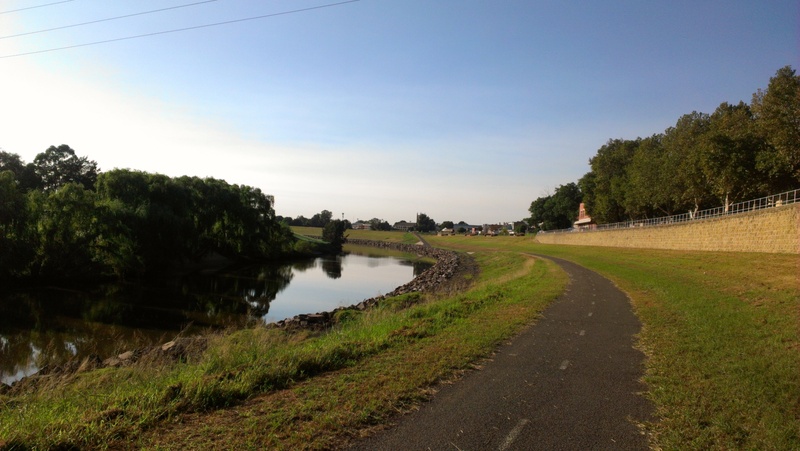 This walk starts at the car park in Sempill street, at the start of the cycleway by the river in Maitland CBD. If you follow signs to Walka Water Works you will see it on the right hand side by the riverbank. Start by walking down the river bank on the marked cycleway and continue along the river. Stay on the path underneath the Belmore bridge and keep going as it ascends up on to the riverbank and then continue walking along the top of the bank on the grass. Suitability: Great walk to combine with a family picnic and excellent spot to take overseas visitors to spot kangaroos! Those with wheels will struggle on the bush trails but could possibly manage the lake trail. No dogs allowed in the reserve. There is ample parking at the Walka Recreation and Wildlife reserve. Access is well signposted as you come down Oakhampton road, turn left at Scobies lane and left again at South Willards lane. The reserve seems to be a bit of a hidden gem as I have never encountered more than one or two other people here…. 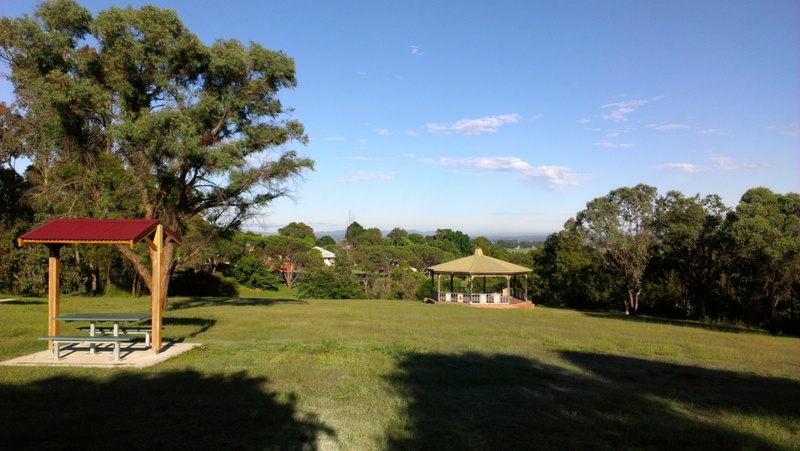 Suitability: A nice hilly walk around a lovely, well-established suburb. The changes in elevation make it suitable for fitness walkers, but quite hard work for those pushing wheels. 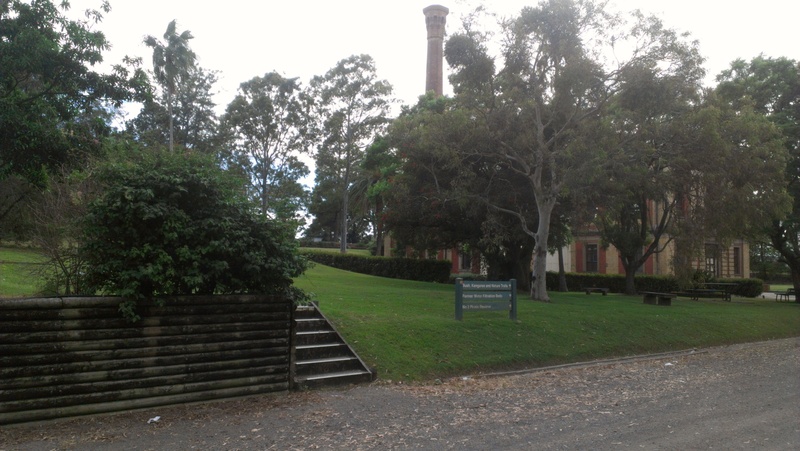 This walk starts at the car park for Stockade Hill Heritage Park located in Brisbane street, close to the Williams street intersection, in East Maitland. Suitability: Good walk for getting to know a nice quiet neighbourhood. All on pavements or tarmac so fine for wheels. Can easily be combined with walk #2 (Veterans flat) if you have extra time and energy. Parking is a little difficult but you can usually find somewhere along Bungaree road by the reserve, just south of Heritage Motors and Bunnings. 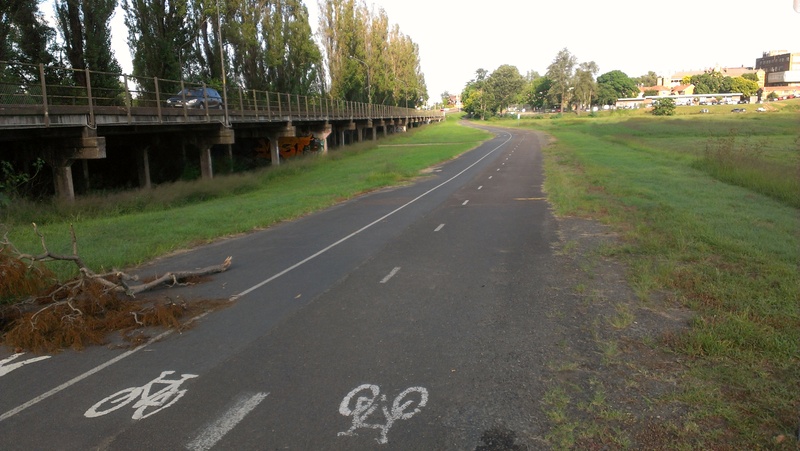 The signposted pedestrian and cycleway underneath the New England Highway will link you to walk #2. This walk starts at the car park by Metford railway station in McCubbin Close, Metford. Suitability: Good combination of walking through reserves and streets, allowing you to admire some lovely historical buildings and gardens. All on concrete paths or tarmac so should be fine for wheels. Can easily be combined with walk #4 (Telarah). This walk starts at the car park in Sempill street, behind the Maitland Court House.